The perpetual 3% rate increases for unmetered Burlington water customers won’t be changing anytime soon — but those who’ve migrated to a metered water system in hopes of cheaper rates could be seeing a larger increase next year. 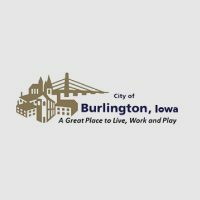 A sewer rate study was presented to the Burlington City Council on Monday night by Leo Foley, a representative of Veenstra & Kim, an engineering firm contracted by the city. Foley says on the average water customer uses 4,000 gallons per month. The rising sewer costs are mostly due to sewer separation costs, which are mandated by the Environmental Protection Agency and Iowa DNR. The city is currently spending $3.5M per-year to separate sewers, and if a deadline for the project isn’t extended the city would have to spend $100M in 8-years. Foley recommended that the city invest in more green infrastructure, which would eliminate non-permeable surfaces throughout the community. He believes that will incentivize the DNR to extend the deadline for sewer separation. Foley identified work to be done on the riverfront via the TIGER and boating infrastructure grants as potential opportunities to complete some of this work with a reduced cost to the city. City manager Jim Ferneau recommended that the council pass a resolution to continue the annual 3% rate increases for at least the next five-years.